My name is Erinn Hoyt and I am 27 years old. I was born at Stanford Hospital in Palo Alto, California and was diagnosed with cystic fibrosis at birth. 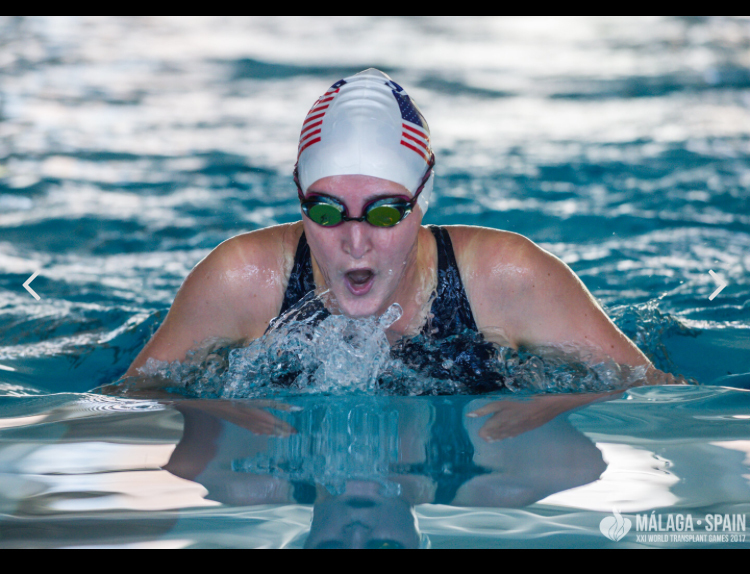 I began swimming competitively when I was only 5 years old and it quickly became my main passion for the majority of my life. When I was 25 years old I was listed for and received a lifesaving double lung transplant. I quit swimming when I was 17 years old. Not two weeks later I was hospitalized for the first time. A few months later I graduated high school and move to San Diego to attend San Diego State University. I graduated with a degree in Criminal Justice and a minor in Sociology. After college my health continued to decline. When I was 21 years old I landed myself in the ICU where there was talk of being listed for a transplant. I knew that I was not mentally prepared to undergo a transplant and everything that came along with it. For years later my lung function had decreased to only 15% and I was living on full time oxygen. I knew that my old lungs were tired and done. I was listed for transplantation and after 3 months I received my double lung transplant on February 1, 2016. In July of 2017, I competed in the World Transplant Games in Malaga, Spain. I entered 7 swim events and won 7 medals (5 silver & 2 bronze). I am competing in the Transplant Games this summer in Salt Lake City, Utah and I hope to win my first gold. "I do not want to be another statistic, and I do not want cystic fibrosis to define me." I do not want to be another statistic and I do not want cystic fibrosis to define me. This forces me to set goals for myself. I want to set goals and not only accomplish them but surpass them; because by surpassing my goals I feel as if I am surpassing the boundaries and limitations that this horrible disease has thrust upon me. I want to wake up every day and be genuinely proud of myself for overcoming the obstacles that CF has set for me. Lastly, I will always have CF but I do not want CF to have me. I am a competitive person by nature and I love to compete. Exercising allows me to compete with myself day in and day out. In my post-transplant life – exercising also allows me to compete on a national and international platform at the Transplant Olympic Games. I grew up swimming competitively; and after becoming a complete victim of my disease- I never thought I would be able to complete a solid workout again let alone be swimming on a competitive level ever again. Mentally and physically there is nothing better I can do for my mind, body, and soul. 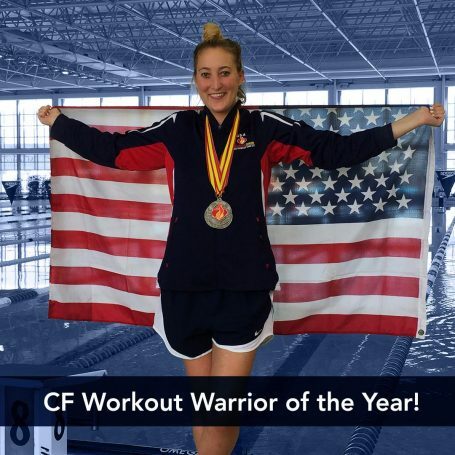 What advice would you give to other CF athletes about the importance of exercise and how it has impacted your life? As I mentioned before, I began swimming competitively when I was only five years old. My first hospitalization did not occur not until I was 17 years old. I credit this to swimming. Swimming is such a natural strengthening tool for your lungs. My years of swimming competitively allowed me to lead a normal childhood. I do believe that if I had not spent those years in the pool I would of spent them in the hospital. Furthermore, it all came full circle after I received my transplant and once again swimming became my savior. I had heard about the Transplant Games; and I set it as my goal to be healthy enough and strong enough to compete in them. Almost immediately my lung function increased. My lung function before my transplant had been 15% and a few months after transplant it was in the low 50s. As soon as I started swimming my lung function shot up to almost 75%. Not only did my lung function increase but my overall physical strength increased. During that time that I was on the list awaiting transplant I felt that my body was slowing withering away. I would sometimes be scared to look in the mirror and face the skeletal body looking back at me. Swimming after transplant helped me gain lung function in my new lungs and regain strength and confidence in myself. My advice to other patients with CF would be that exercising is so much more than increasing lung function. Exercising can provide you with not only the strength your body needs to continue to fight but also the strength and confidence you need to remind yourself that this life is worth the fight. My role model is my father. My father taught me everything I know about hard work and how to be the best competitor, athlete, and patient I can be.